Aiyden Davis, who was just a few days shy of his 3rd birthday and who was known as being playful and good-natured, had apparently been abused for quite some time, according to police reports. Police are still investigating what led to the tragic turn of events, but the toddler’s mother, Theresa Davis, had apparently left boyfriend Reginald Williams to watch the boy while she worked as a security guard. Davis’ 44-year-old Aunt Pamela Davis called her niece’s home to check on the child. By the second phone call at 6:45 p.m., Williams told Pamela that he had spanked the tot for messing up his ABC’s and had placed him in a corner. When the Aunt called the third time to check on the baby at around 8:45 p.m., Williams whimpered, “I’m so sorry, P., I’m so sorry,” but offered no explanation for the apology. Pamela immediately sensed something was wrong and called her niece at work to tell her what had happened, but the 27-year-old Mom just sloughed off her aunt’s concern. 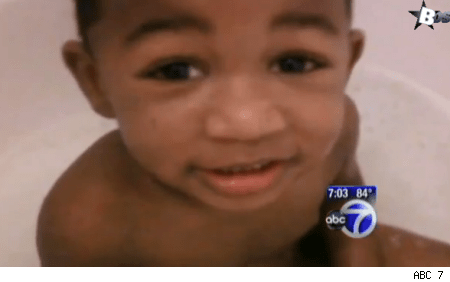 Police were summoned to the Bedford-Stuyvesant, Brooklyn, apartment, when a call was placed to 911 by a male voice who said the toddler was “breathing but unresponsive.” The unconscious child was taken to a local hospital and pronounced dead upon arrival. The medical examiner’s office said the cause of death was “blunt impact injuries of the head, torso and extremities with liver laceration and internal bleeding.” The investigators also noted that there were old and new bruises up and down the child’s torso. Neighbors told police that they had recently heard yelling and crying coming from the apartment. Assistant District Attorney Colleen Babb also told the Daily News that Davis admitted over the past month that she beat her son with a belt and gave Williams permission to discipline him. Williams, 31, was charged with second-degree murder. Davis, 27, was also arrested on charges of assault, endangering the welfare of a child and criminal possession of a weapon. Her charges stemmed from the assault with a belt, the police said. 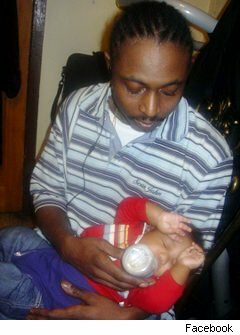 This entry was posted in Crime and tagged Aiyden Davis, Ameen Foster, Pamela Davis, R, Reginald Williams Brooklyn New York, Theresa Davis, Two-Year-Old Allegedly Killed By Mom's Boyfriend For Not Saying ABC's. Bookmark the permalink.